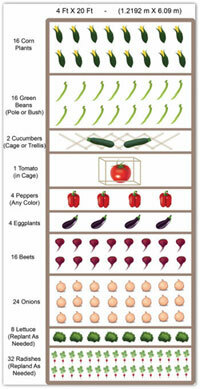 Use our free plans and ideas for designing a vegetable garden layout! 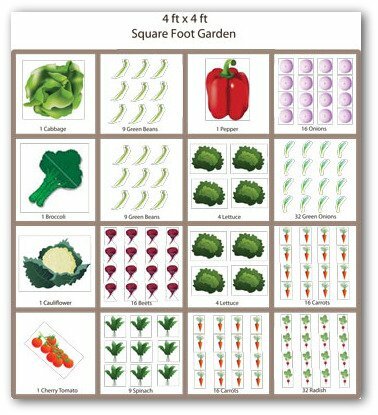 We offer videos, garden planner, and worksheet downloads to help with designing and planning home vegetable gardens! 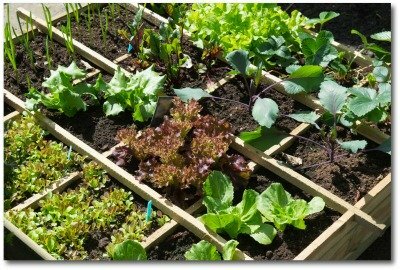 Planning a vegetable garden layout to suit your needs is a great opportunity to be creative! All you need is to find a sunny location whether in your yard, or on a porch, deck or patio with access to a source of water. Choose a vegetable garden design that works well in the space you have available, and that will work with the amount of time you have to invest in gardening. Consider building a raised bed, square foot, or container garden if you want to simplify the process of preparing your garden each season. 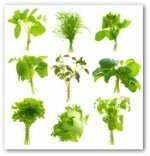 These types of gardens work especially well for small or beginner vegetable garden plans. 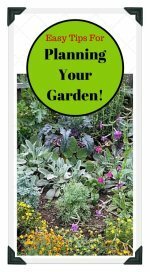 Please view our other vegetable gardening videos for additional tips, plans and ideas! It Helps to Have Little Helpers! 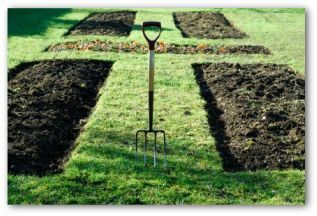 When designing a vegetable garden bed, don’t leave any bare patches, as this will encourage weeds. Add a layer of mulch to help prevent weed seeds from sprouting. Determine sun patterns before planting to ensure the maximum exposure. 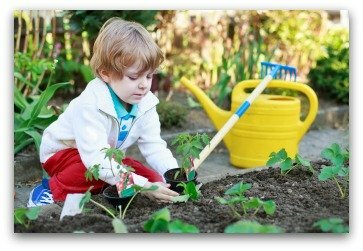 Ask for help with planting; kids and grandkids often enjoy helping plant the garden! It helps to have a starting point when designing a vegetable garden layout. This design is for a 4' x 20' garden which can be in-ground, or built as a raised bed garden. We have other free sample garden plans available for download on our "Free Garden Plans" page. Mix ornamental plants that are also edible with your other garden vegetables; eggplant is a pretty plant to grow with its purple fruit. Zucchini and cucumber plants have beautiful yellow flowers that add a splash of color to the garden. 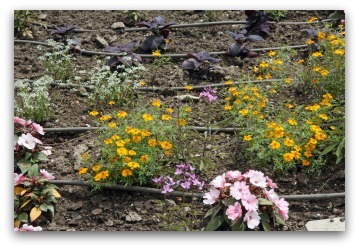 Planting zinnias, marigolds or nasturtiums will also add color and zest to your garden design. Marigolds offer pest control as well as color. Heads of ruby lettuce, peppers of colors yellow, orange, red, and brown, and pods of okra are attention-getters in a pretty garden. Map out the areas to be planted. Fill up as much space as you have available with plantings providing there will also to be enough time for upkeep and harvest. 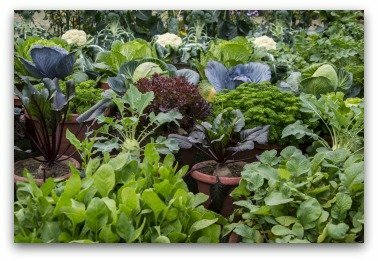 Vegetable gardening can successfully take place on the patio or porch in containers as well as in the ground. 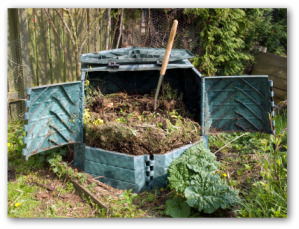 A compost bin provides an available supply of organic matter for vegetable gardening. Adding a site in your garden design for composting allows a place to recycle non-animal food waste to enrich the garden soil. When designing a vegetable garden, be sure to keep in mind locating near a convenient source of water. Economic watering methods are helpful when designing a vegetable garden. Conserving energy can be part of your master plan. Water most often in early morning during hot spells. Watering in the evening promotes mold, mildew, and other diseases. 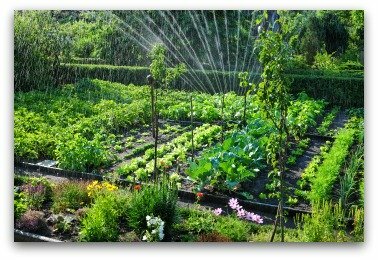 In your vegetable garden design, decide whether you need to add or install a sprinkler system. For the highest efficiency, a drip irrigation system directs water to the plant’s roots, avoiding costly run-offs or evaporation. Many gardeners water their vegetable garden at the wrong time or over-water. According to the EPA, this action wastes 25,000 gallons each year. Installing proper watering systems when designing a vegetable garden saves money and deters pests and diseases from invading the planting site. You can install a rain or soil moisture sensor that turns on when the ground is dry. There are automatic watering systems that use local weather reports to determine a hydration schedule. Set your sprinklers for early in the morning. Watering during the heat of the day prevents water from reaching the roots. When Watering a Vegetable Garden, How Much Water is Enough? A green rule-of-thumb is to provide 1-2 inches of water per week. Get your vegetable garden site’s soil tested before planting. Do not rely on the do-it yourself kits as they are not always easy to use or reliable. For an accurate reading, have your local cooperative extension office test the soil. Some tests are performed for free or at a nominal fee. Designing a vegetable garden and putting your creative plans in action is the first step to becoming a gardener. Your vegetable garden layout is an important part of your gardening success. Take time to plan and prepare adequately to ensure success in your vegetable garden. 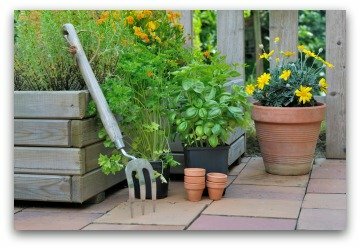 Whether a beginner, or master gardener, designing your garden carefully is key to your success!